Join us to explore the beautiful Dorset coast by sea kayak on this unique 2 day kayaking, wild camping and food adventure. Our kayaking location in Dorset is set within Studland, a tranquil nature reserve with the famous Old Harry Rocks on one side of the peninsula and Poole harbour on the other. Old Harry Rocks nested between Swanage and Studland, offers an exciting and varied sea kayaking playground, here we explore the caves and archways formed by nature and put your sea kayaking skills to the test in this dynamic ever changing sea kayaking environment. Poole harbour is one of the largest natural harbours in the world and a haven for wildlife and marine life, even though Studland is accessible from London in just 2 hours amongst the islands and creeks you would feel a million miles away from civilisation, making our destination in Dorset the perfect place to escape to. 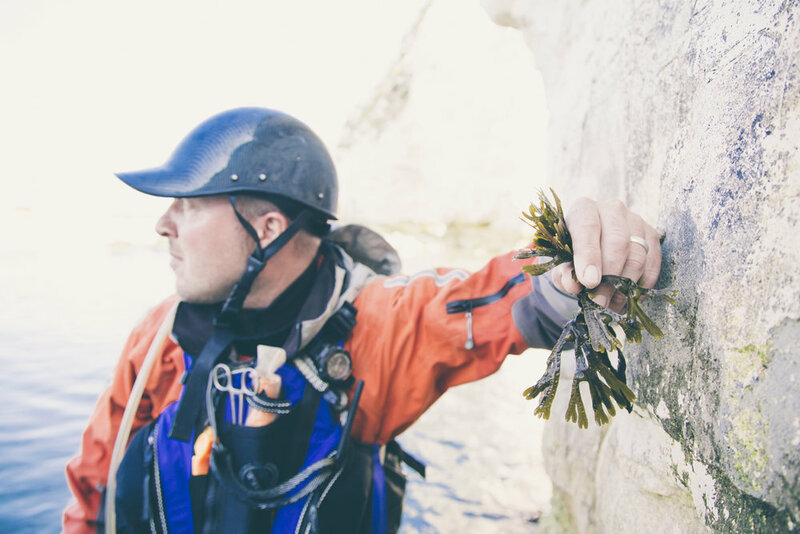 Our cofounder Dan Scott is an experienced sea kayak coach with over 20 years of kayak coaching experience, he has worked extensively along the Dorset coast since setting up the business 8 years ago. Living and working in the Dorset area has allowed Dan to develop an intimate knowledge of the Jurassic Coastline and he is a qualified bushcraft instructor and ethnobotanist with a thorough knowledge of the local flaura and forna. Join this 2 day sea kayaking expedition in Dorset to immerse yourself in nature, embrace the wilderness, brush up on your kayaking skills and learn new ones as we forage and fish from kayaks, snorkel, wild camp on the Dorset coast and cook up a storm in the great outdoors. You don't need to be an expert sea kayaker however we do require that you have some level of experience, if you are unsure get in touch with first to discuss. We can provide tuition prior if required, our half day sea kayak tuition courses are £60pp and full day sea kayaking courses are £100pp. Spaces on these adventures are very limited so grab them before they're gone! * Kayaking around the islands and creeks in one of the worlds largest natural harbours. 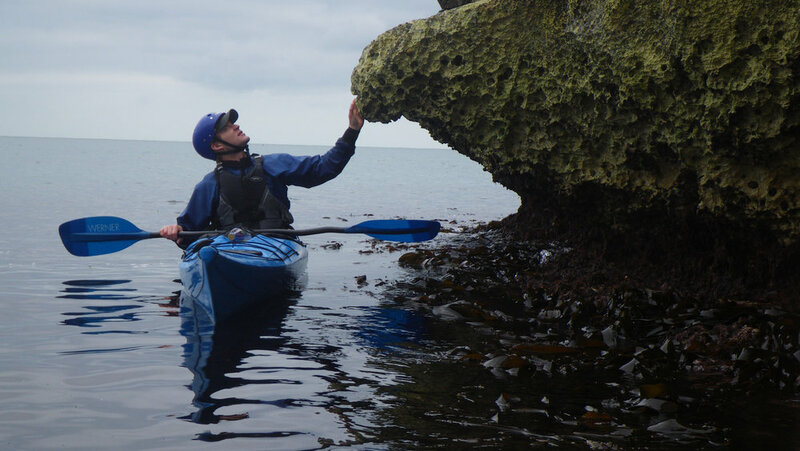 * Explore Sea stacks and Caves by Kayak at Old Harry Rocks.